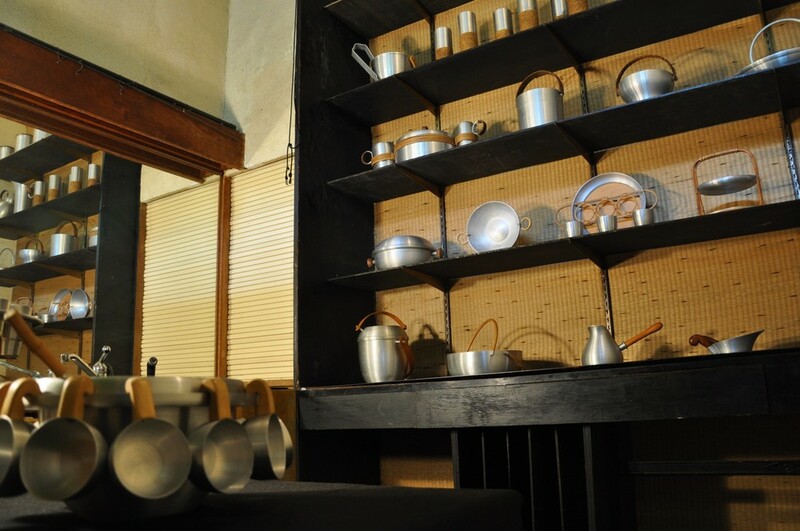 Manitoga regularly creates exhibits of objects within the House and Studio to highlight Russel Wright's legacy of design. Manitoga regularly mounts special exhibits of Russel Wright design objects within the House and Studio to highlight his professional design career and its influence at Manitoga. 1930's spun aluminum line by Russel Wright was displayed in the Flower Arranging Room at Dragon Rock. These housewares, intended for casual gatherings, were loaned to Manitoga from the collection of Gary and Laura Maurer. The Garrison Art Center, with consultation from Manitoga, presented an exhibition of early work by Mary and Russel Wright including some never before displayed objects and drawings.